The Friday after Thanksgiving is generally a day most people hit the stores for deep discounted items to start off the holiday giving season. However, there are still many others who choose to opt out of shopping and instead spend the day in nature as part of the REI #OptOutside Campaign. But don’t just #OptOutside on Black Friday! 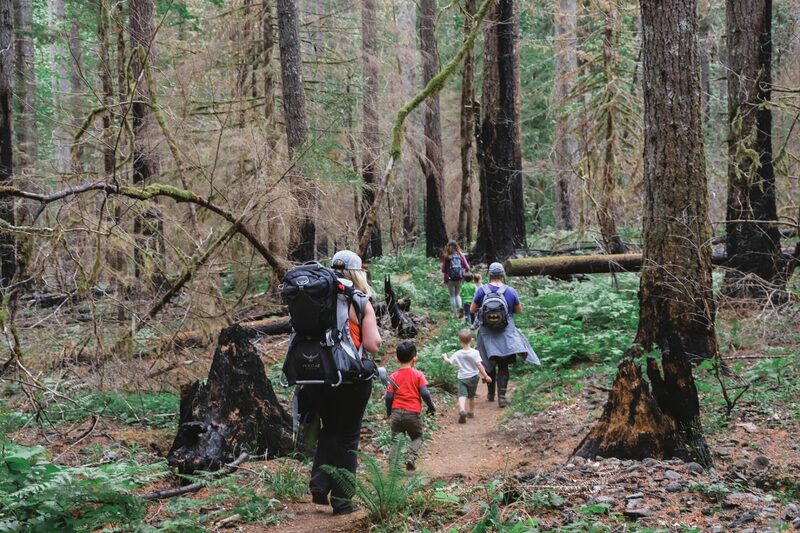 With this list of themed hikes, your family can have outdoor adventures all year-round. Rainbow hike: What kid (and adult) doesn’t love a scavenger hunt? A rainbow hike, plus many of the others listed here, is a good mix of exercise and finding things. Draw all the colors of the rainbow on your “map” and take the kids out to find objects from the entire spectrum. Measuring hikes: Grab a tape measure and take the kids out to learn more about the world around them. You can measure everything from blades of grass, to mushrooms, to more docile insects, and then some. Park & Play: Stop the car on long trips to get the entire family out to play. It’ll get the wiggles out and keep everybody calm until the next play break. Visit a new park each week: Take the kids on day trips all over your area, visiting a new park to hike or take a stroll each week. Photo scavenger hike: Give the kids a list and a digital (or disposable) camera. Have them take pictures of each item they find. 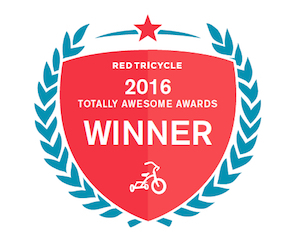 If you have a large group, you can make it a competition to see who finds everything first. Geocaching: Hide “caches” around the area you plan to hike and write down the coordinates for each container. Use your GPS to find each one! Pumpkin hunt hike: Carve your pumpkins and leave them lit along the trail for an after-dark hike your kids will always remember. Ugly sweater theme hike: Put on the ugliest sweaters you can find (thrift stores are great for this) and go hiking on a cool fall day. Full moon frenzy: When the moon is full, take the kids out for a light-of-the-moon hike. Scary stories make it all the better. 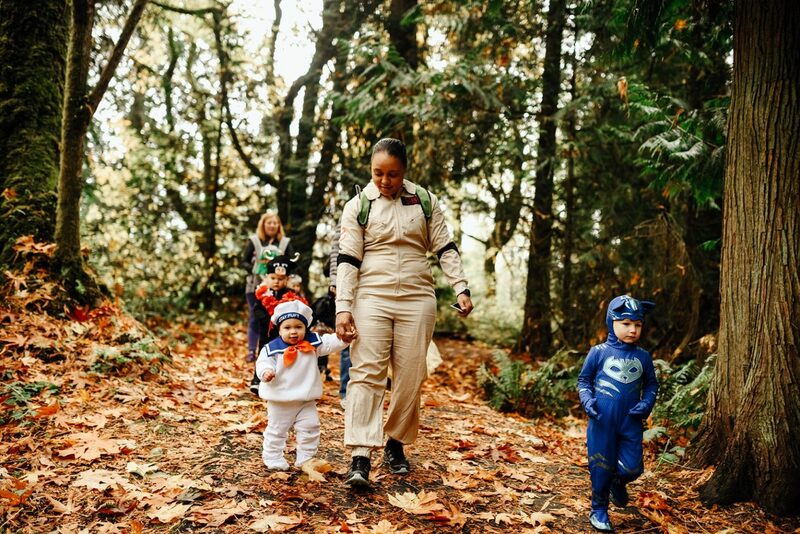 Costume stroll: Up the spooky factor by adding costumes to your pumpkin hike! Candy cane hike: Hide candy canes in the woods before your hike and take the kids out for a fun time finding these festive treats. Heart hunt hike: Share the love on Valentine’s Day by decorating the woods with colorful hearts. Your kids will cherish the memory. Make bird feeders: Gather fallen pine cones around your yard or neighborhood and make bird feeders with them. Roll them in peanut butter then cover with bird seeds. On your next hike, place them in the trees for the birds! 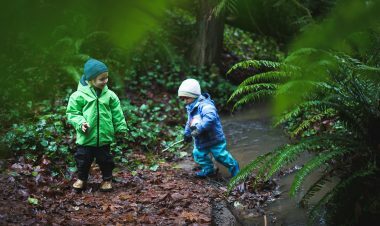 Signs of spring: A sign of spring hike is an excellent way to mindfully hike when out with little ones. Every time they spot something that’s spring-specific, take a picture of it. Spring flower hunt: Make a map of common spring flowers, or simply go looking for the blossoms. Your kids will have a lot of fun finding and learning about each one. Egg hunt: Just like an Easter egg hunt, hide colorful plastic eggs filled with surprises on the trail beforehand. Have the kids bring their own bags or baskets to collect the eggs. Clean-up hike: Pick a dry day in the spring to go out and clean up the trails. 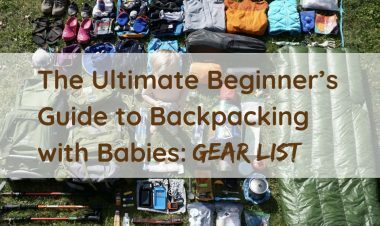 It’s not only fun, but helpful for everyone who hikes to do their part to clean the earth! Pick up branches and other debris and move them off the trail. May the 4th Be With You stroll: Dress up like the characters from Star Wars and go on a stroll with your entire family – or multiple families! Get the whole neighborhood involved. Plant something: Teach your kids the value of nature, not only by hiking, but also by planting something. If you have your own woods or large property, perhaps plant trees, flowers or bushes with your kids along your walking path. Pot of gold hike: Hide a “pot of gold” out on the trail filled with goodies! Give the kids clues to find it and watch them have a blast on the hunt. Story book hike: Take a children’s book apart and laminate the pages. Stick the pages on the ground or on trees (in a way that won’t harm the tree), and let the kids take a walk through the story. Bubble hikes: Who doesn’t like bubbles? Get the kids together and create a magical walk in the woods. Pajama hike: Have the kids put on their jammies and take them out for a fun hike with one of the most popular kids books out there. Tamara Johnson graduated from Columbia College Chicago in 2007 with a BFA in photography and a minor in creative non-fiction. 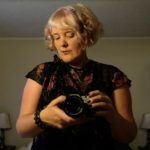 After spending nearly a decade writing and editing for the photo giant B&H Photo, Tamara went into business for herself as a freelancer. When she’s not in the city, she loves to explore the Adirondack Mountains. Hiking/walking, kayaking, yoga and meditating are just a few of the things Tamara enjoys during non-working hours. She also loves dogs and hopes to have a few someday. 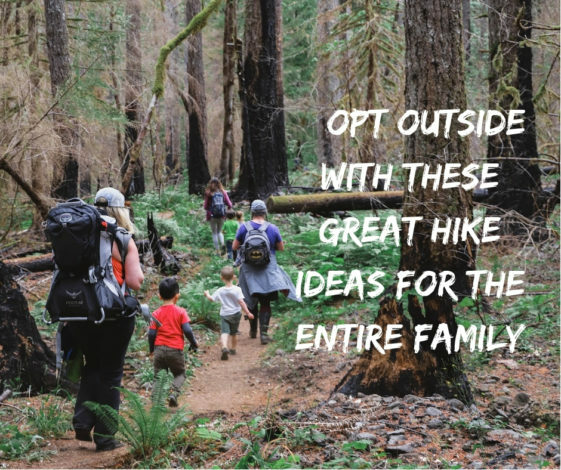 Trail Tips #OptOutside, themed hikes. permalink.